When I bought my house, I worked a part time job at Bebe while working at my full time job. In six months, I learned lessons that helped me in business and in my personal life. Most importantly working retail part time, I was able to be on the other side of the shopping experience and understand how to improve my own behavior while I shop. 1 Don't use your child's stroller (especially when the child is in the stroller) as a place to put clothes you would like to try on or purchase. Sales people will gladly take your clothes and put them in a dressing room for you. This perk is not for the convenience of shopping but also with sympathy for the child who is blanketed in clothing. 3 If and when someone greets you when you walk into the store, return their smile and acknowledge their gracious greeting. I used to work as official 'greeter' at the GAP during college. The experience of shopping in the store should be fun. Understand the sales person is trying to enhance that experience from the moment you walk through the door. 4 If the sales person asks if you need any help and you don't say 'No Thank You'. This should be appropriate. Every person working in a retail store will ask you if you need help because it's their job. Never think you will be the exception to that rule. 5 After looking on the table and you don't know how to fold them, apologize and provide to someone working there. Whatever is not folded has to be folded. The more organized the clothes are the quicker the salespeople can go home. 6 If later on at night, ask when the store closes. Make sure to make your purchases in a timely manner. The people working in the store cannot leave until every Customer has left the store. Beyond cleaning after the last Customer, the registers have to be counted, and all of the clothes folded (as well as steamed). For the people working at the store, the doors may close at 9:00 or 10:00 but there is another three to fours hours left for them to work. 6 Never show off on how much money you make. Insults are never appropriate or necessary. Some people's incomes that support more than themselves depend on this job. It's important to recognize everyone is important no matter what position they hold or perform. 7 When asking and potentially getting a particular item, say 'Please' and 'Thank you'. The sales people work for the store not you. The sales people who have to help you, the hours are long, and work tiring. Every little kindness is appreciated. 9 Appreciate any feedback from the sales people. Understand that the people who work in retail LOVE clothes as much as you do. Most people who work retail would love to either own their own clothes store, design their own line of clothing, or be a personal shopper. 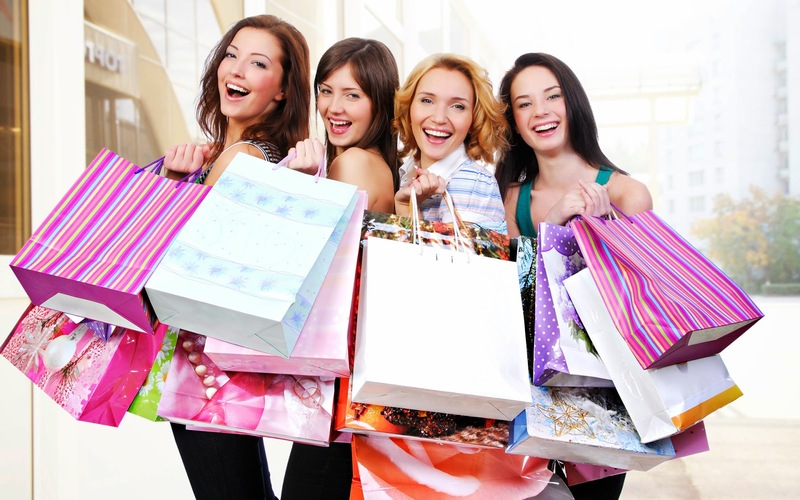 Utilize them as your own personal (and free) shopper. The sales people will love you for it and it will double the pleasurable experience of shopping for you. 10 Fold or return your items in the dressing room. It's polite and less work for the sales people cleaning up later or during. and it leaves a good impression. Sales people are not maids. Once a messy dressing room is left there is always talk. Sales people remember those customers and there is always gossip. For those individuals who leave a messy dressing rooms we wonder "What must their house look like!" 11 When asked for your name or personal information provide your Driver's License. The sales people are under pressure to make sure the Customers are taken care of in a reasonable time. It helps you and them complete the sales order faster and more efficiently. 12 If you have a lot of bags from previous stores, ask a sales person to hold them behind the counter. Living in the world we do, regardless of who they are or what they look like when someone comes in with a lot of bags the sales people tend to follow that person. This will be to make sure that nothing is stolen. The personal space and aggravation of having to carry all of your bags can be eliminated with a simple request.